"Waclawiak's novel reinvents the immigration story. How to Get Into the Twin Palms movingly portrays a protagonist intent on both creating and destroying herself, on burning brightly even as she goes up in smoke." "The novel is beautifully written and so suffused with loneliness it makes you ache. Not only is How to Get into the Twin Palms about the overwhelming state that is displacement, it's about what happens when loneliness becomes unbearable. Waclawiak writes through these tensions so elegantly, so tenderly, that How to Get Into the Twin Palms is, by far, one of my favorite books this year." "Masked by scenes of schmancy nightlife is a story about an immigrant wanting to belong. Barely getting by in LA on bingo-calling, Anya reinvents herself. With hair dye and a push-up bra, she tries to gain entry into the Twin Palms nightclub." "A taut debut... that] strikes with the creeping suddenness of a brush fire." How to Get Into the Twin Palms is the story of Anya, a young woman living alone in a Russian neighborhood in Los Angeles, who struggles to retain her parents' Polish culture while trying to assimilate into her newly adopted community. Anya stalks the nearby Twin Palms nightclub, the pinnacle of exclusivity in the Russian community. Desperate not only to gain entrance into the club but to belong there, Anya begins a perilous pursuit for Lev, a Russian gangster who frequents the seemingly impenetrable world of the Twin Palms. Karolina Waclawiak received her MFA in Fiction from Columbia University. She is Deputy Editor of The Believer and lives and writes in Brooklyn. 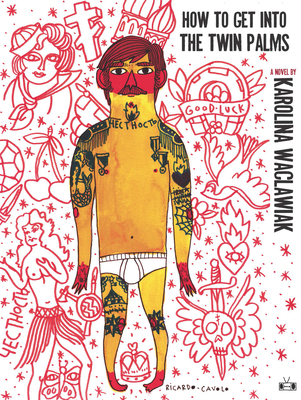 Karolina Waclawiak: Karolina Waclawiak received her MFA in fiction from Columbia University. She is the Deputy Editor of The Believer and lives and writes in Brooklyn.